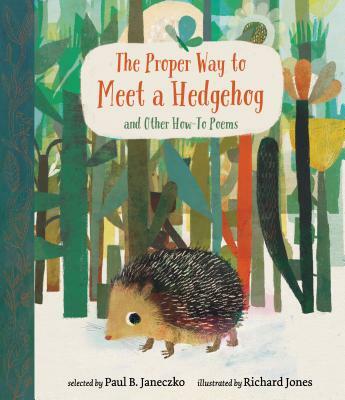 Teaching Authors--6 Children's Authors Who Also Teach Writing: That Perennial Agent Question PLUS Book Giveaway! We’ve all been asked it, in some variation, while speaking at the podium or on a panel, and heard it asked while seated in an audience. The variations are sure bets, too, in the following order. Like JoAnn, whose CWIM 2017 article “Be Your Own Literary Agent” sparked this blog conversation and Book Giveaway, I too am un-agented. I submit my work, when appropriate, to editors with whom I’ve worked and/or connected via previous submissions, conference contacts and networking. My literary attorney oversees my contracts and is also available to negotiate on my behalf. 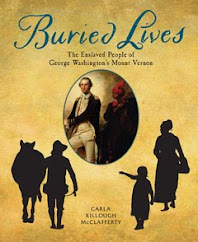 After a very long residency in the Children’s Book World that began with Jimmy Carter’s election (! ), I now wonder if instead of asking that one Agent Question, writers might be better served by asking these six. (1) WHEN is a writer ready to consider and/or query an agent for representation? The esteemed Dorothy Markinko of McIntosh and Otis said it best. I’d won a conference competition at which she was presenting and she offered me representation! “Why now and not before?” I asked, reminding her I’d unsuccessfully queried years earlier. She smiled wide. “You weren’t soup yet." 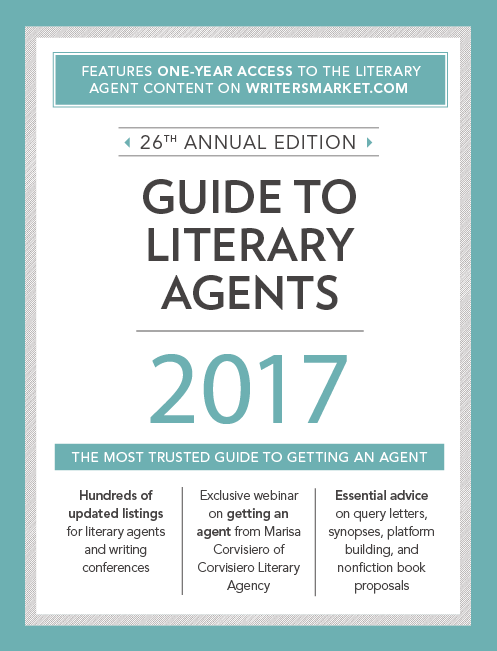 If an agent is to sell your work, it must be ready. Think: a good story, finely-crafted, appropriate for its format, its audience, the marketplace, able to distinguish itself from the competition and/or fill a niche. It’s foolhardy to send off work not quite ready for Prime Time, or work that doesn’t showcase our talent, our professionalism, our uniqueness and heart. (2) WHAT is agency representation and (3) WHY might it matter? 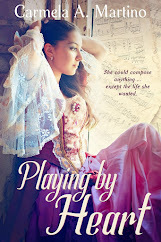 As Carla shared and April poetically underscored, agency representation is NOT a ticket to fame and fortune. Agent-interested writers can certainly check out the Association of Authors’ Representatives, Inc. and their Canon of Ethics. However, not all agents are AAR members. I like former Curtis Brown Ltd. agent and author Nathan Bransford’s agent job description, from determining likely editors and houses, pre-submission editing, negotiating contracts and subrights and tracking the publishing process to career-shaping and ultimate advocacy. Given today’s fast-changing publishing world, it’s advantageous to have an invested partner watching out for you, over you, eyeing your back. Here’s another way to answer the above questions, especially once you’re offered representation: check out these suggestions from AgentQuery. (4)WHO might best serve my manuscripts, my career and me? Lists of likely literary agents abound. 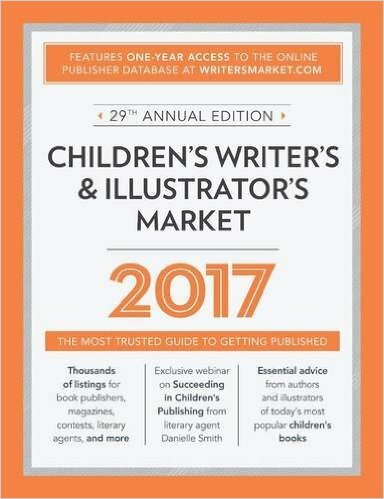 There’s SCBWI’s The Book, CWIM 2017 (Writer’s Digest), Chuck Sambuchino’s GUIDE TO LITERARY AGENTS 2017 (Writer’s Digest), Chuck’s agent blog, AgentQuery and Manuscript Wish List, as well as Cynthia Leitich Smith’s CYNSATIONS blog and Darcy Pattison’s just released list of Top Agents in 2016. It goes without saying, writers must delve deeply into each agent’s agency, interests, authors, represented books, sales record and online interviews to determine a comfortable fit. Google is your friend. Do your homework. 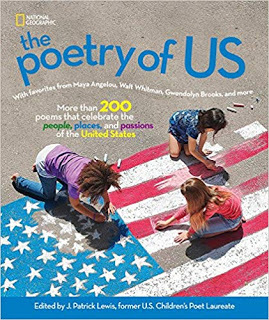 Here’s another friend: Publishers Weekly’s Rights Report that appears each Tuesday and Thursday, for free, as a part of the Children’s Bookshelf. This is the listing from this past Thursday. Tracey Keevan at Disney-Hyperion has acquired, in a four-house auction, Captain Superlative, J.S. Puller's debut middle grade novel. In this mystery, a quiet outsider becomes obsessed with the eccentric and enigmatic Captain Superlative, a masked superhero who runs through the halls of their middle school, performing radical acts of kindness. Publication is scheduled for fall 2018, Brianne Johnson at Writers House did the six-figure, two-book deal for world rights. Which agents are selling books like yours – especially in format and genre? Or, which editors/publishers are buying books like yours? Note, color-code and record the editor/publisher, the one-sentence book description (your pitch) and the agent listed in each report. (5) HOW do I best connect with an agent? 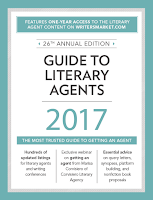 Even more plentiful than lists of literary agents are instructions for how to query an agent and/or editor. Check out Chuck Sambuchino’s blog. Knowing your one-sentence pitch is essential. Here’s a link to Nathan Bransford's post on how to pitch. (6) WHERE are the best opportunities for connecting with agents? Authors interviewed in JoAnn’s CWIM 2017 article share Conference success stories. Check out SCBWI – local, regional, national, international, Big Sur and The Rutgers One-on-One Children’s Literature Conference, to name a few. BrendaDrake offers Pitch War opportunities. Don’t forget Manuscript Wish List. Chuck Sambuchino also offers Dear Lucky Agent Contests. Tomorrow is the deadline for thriller and horror mss.! So, think about the WHEN, WHAT, WHY, WHO, HOW and WHERE of seeking an agent. In the PW Rights Report above, I know for a fact the debut author, a former student, queried 106 agents before successfully gaining representation by the 107th. And that agent was mentored by the first agent she’d ever queried; the two share an agency. Faith – in yourself, your story, your writing, is essential. 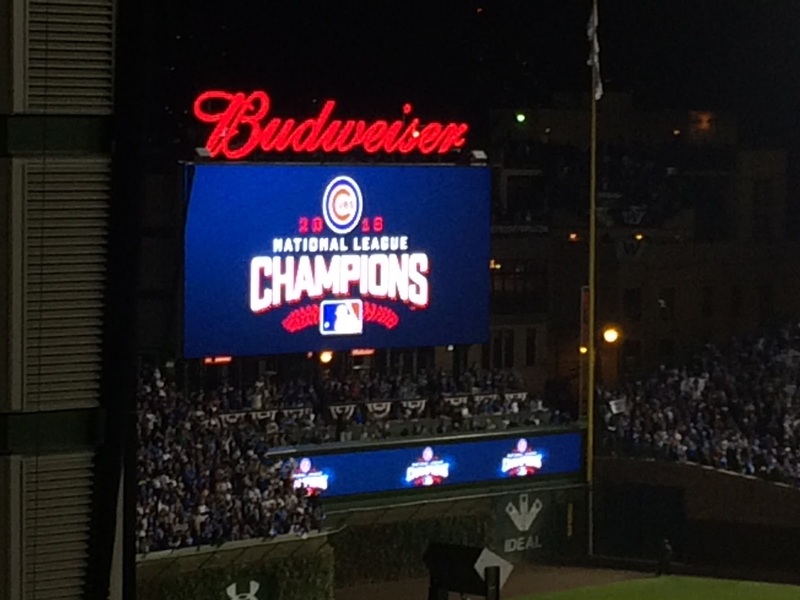 Faith, as in my 2016 Chicago Cubs who Saturday night won the National League Pennant after a 71-year wait! If both you and your manuscript are ready for prime time, I believe you can make today your someday. Good Luck, no matter which submission a(venue) you choose! 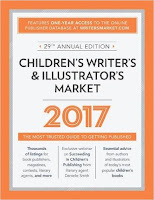 Now, speaking of Winners, let’s make today the someday you enter our Book Giveaway to win a copy of the Children’s Writers and Illustrators Market 2017. Wow--what a helpful post, Esther! Thank you for sharing the results of all your investigating! I am SO happy for your Cubs, Esther! Our Town is proud that an athlete who graduated from high school here, whose parents still call this place home - David Ross, back-up catcher- is part of the glory. Champions! 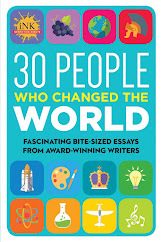 And wowza a big bunch of champion tips here for assessing the idea of literary representation. I like how you mention your lit. lawyer is there for your contracts, etc. This is the best advice piece I've ever read, with so many links, about this topic for children's writers. Thank you for all the helpful resources and information, Ester. Great post! Great post! Thank you for all the information. Such an informative post--one that I will save & pin to Pinterest. Thank you, Esther for answering the agent questions of: who, what, when, why and how. Great post. Thanks for this one! Thanks to all who posted their "thanks" for this post! The more we know, the further we can go. And Jan: I LOVE your Home Boy and my team's #1 catcher! We'll miss him next year. I'll be coming back to this one. Even as an agented author, I still have questions. Thanks for the new information. Well written and organized! Thank you. What a really grand discussion, Esther. Thank you so much! The more we know, the further we can go-- absolutely!! I'm so glad my post is proving helpful! Thanks to CWIM2017 we can learn lots about which agents to consider. Chuck Sambuchino offers his "New Agent Spotlights" and there's article in which 4 agents evaluate First Pages. This one's a keeper, Esther. It's bookmarked for next shot at getting an agent this spring.